Owners want offers! 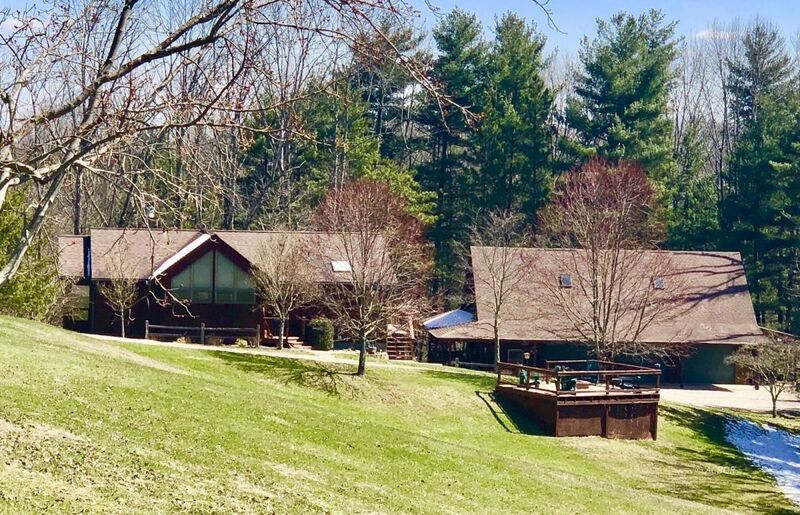 A quiet, peaceful retreat situated away from the road on 5.52 acres m/l surrounded by nature just a few minutes from town. This home was built with attention to detail to bring the beautiful panoramic views of the outdoors in. A grand vaulted, entry welcomes you with large architectural windows filling the home with loads of light. The kitchen has great work space, scenic views and room for eating. The living room, dining room and kitchen all flow seamlessly together making access to the outdoors a breeze. The owner's suite located on the main level includes a large walk-in closet with built in storage, separate vanities, large tub/shower and door to the deck. A half bath has been added to main level by current owners. Large family room located on the lower level opens to the back yard and stays warm and cozy with the gas fireplace. Bedrooms 2 & 3, full bath.laundry and additional storage complete the lower level. The 3+ car garage has an upstairs which provides an enormous amount of storage space and also includes an attached carport. Property also includes a fenced garden, large deck with fire pit room for pets and kids plus a storage shed.